The Foreign Minister of the Libyan Presidential Council's government Mohammed Sayala called on the Global Coalition to Defeat ISIS to include Libya in the rebuilding program, citing massive destruction in the country due to the fighting against ISIS. 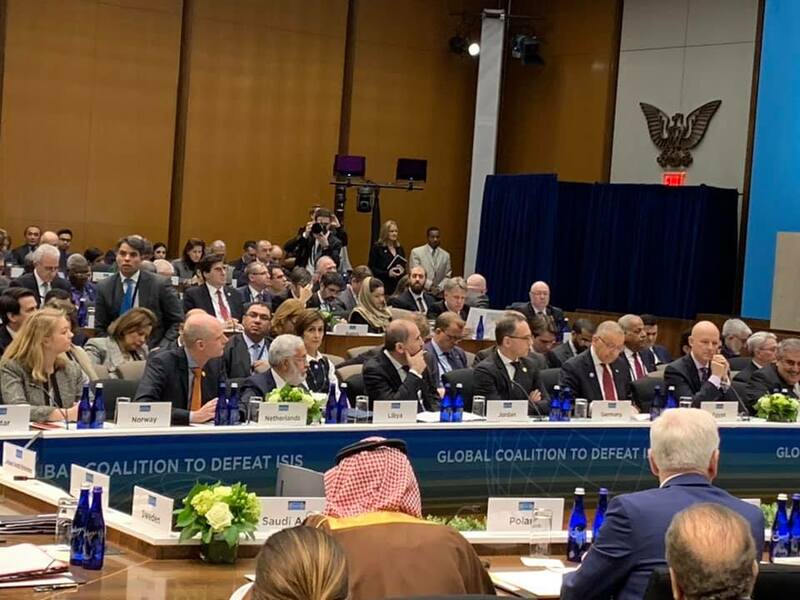 Sayala also added at the conference of Global Coalition to Defeat ISIS member states' foreign ministers in Washington that the coalition should also help Libya in education, media, and development. The conference was attended by the US President Donald Trump and foreign ministers of 79 member states of the coalition, besides representatives of international organizations. "Coordination among the member states is very vital given the growing threat of terrorism with the persistent influx of illegal immigrants via the borders. Also, surveillance to track foreign fighters and undermining the funding of terrorists shall be also part of coordination among all involved countries." Sayala told the conference's attendees. He also asked for more support for the role of police, army and intelligence apparatuses in fighting terrorism, saying the Presidential Council is ready to coordinate with the coalition in those regards. Sayala added that ISIS still poses a threat in Libya after it has been defeated in its stronghold in Sirte, saying after the defeat, ISIS started using new methods, citing attacks on the Libyan Foreign Ministry, National Oil Corporation and High National Elections Commission in Tripoli. "We also look forward to coordinating with the international community to support the political process in Libya under the auspices of the UN Support Mission, keeping Libya's sovereignty intact." Sayala further added.